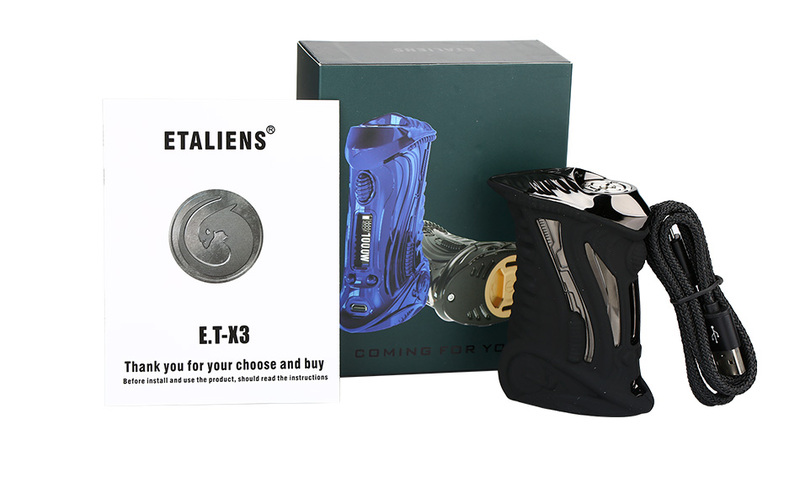 Powered by single 26650 battery, ETALIENS E.T-X3 is very attractive by its extraterrestrial appearance. 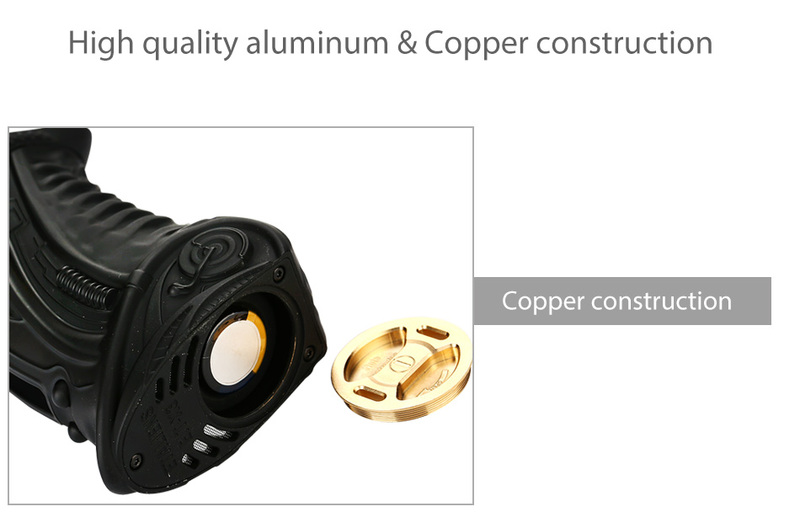 It integrates a 100w output along with temperature control mode in a perfect box. 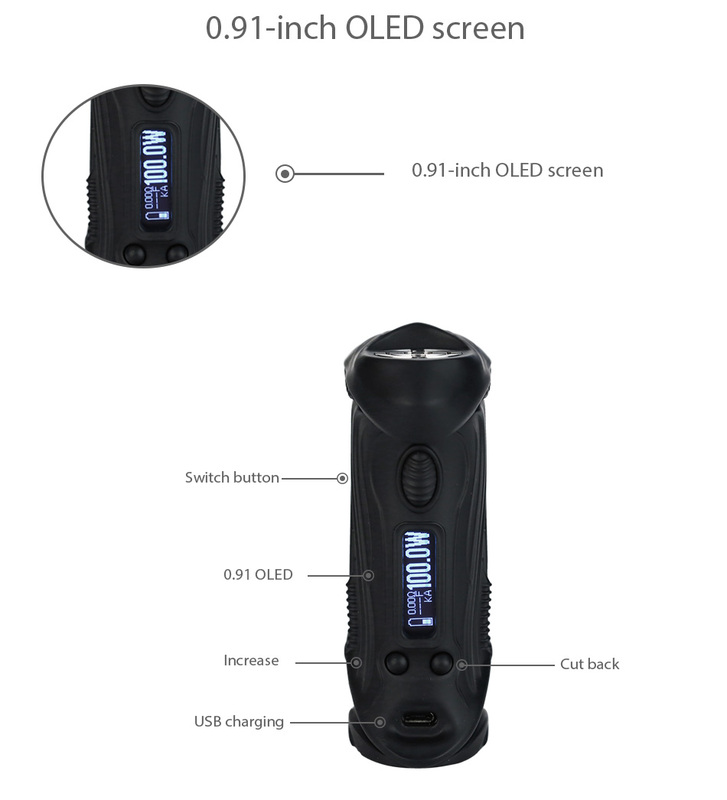 The 0.91-inch OLED screen clearly shows the main menu to make an easy-operation for you. 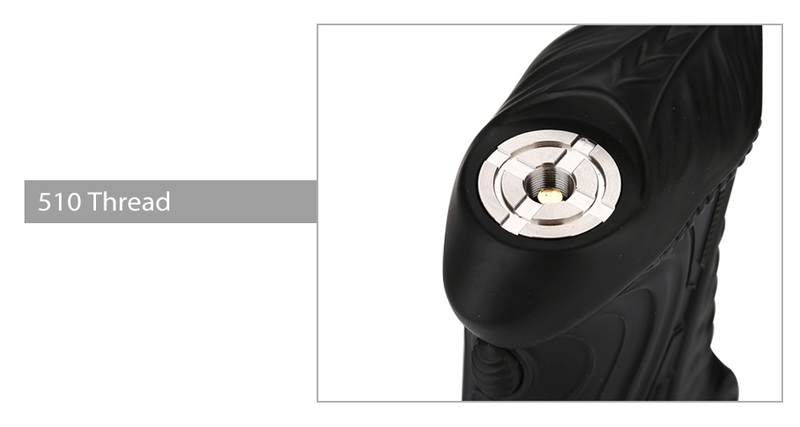 It is also interchangeable between 18650 and 26650 battery with rubber cover. 5 colors are available. 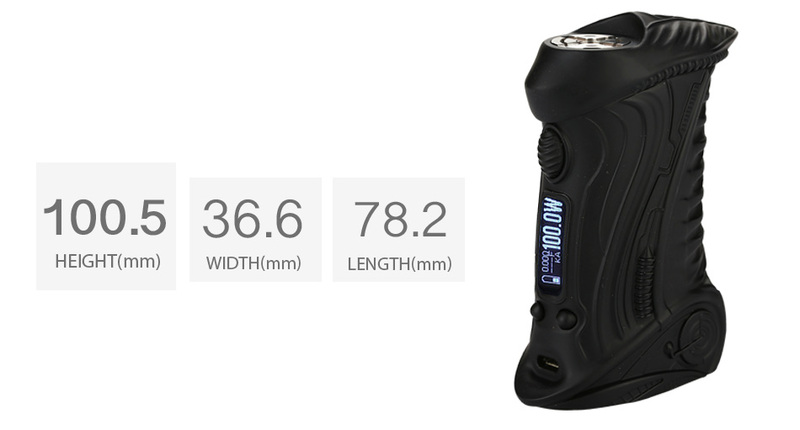 Click the button below to add the ETALIENS E.T-X3 TC Box MOD 100W to your wish list.